Did Israel Lawmaker Just Call for Swimming Pool Apartheid? An Israeli mayor from the Galilee apologized for causing offense by saying that he does not want Arabs to use swimming pools of predominantly-Jewish towns and cities. His statement, published prominently by Haaretz and other media, provoked outrage and accusations of racism against Dotan, a member of the Likud party and a board member of the Foundation for the Benefit of Holocaust Victims in Israel. Dotan noted that no Jews swim at an Arab-owned private pool near Kibbutz Beit Rimon, one of several Jewish communities and towns represented by his council. Neighboring Arab towns and villages are represented by a different regional council. But he also said “no one checks bathers at the entrance” to pools and that Arabs are free to enter any of them. In the 103FM interview, he said Arab bathers tend to leave a mess behind them. “In Arab culture, it is customary to bring lunch or dinner to the pool and when, usually, when it’s crowded, mess is left behind. My Jewish residents don’t make a mess and don’t leave trash behind,” he said. Soon after their posting, the tweets were criticized by party leader Naftali Bennett. The leader of a local Israeli government council said Thursday that he doesn’t want to see Arabs using public swimming pools in his locality. Also see the following from WRH …. Lower Galilee Regional Council head Motti Dotan stirred up controversy on Thursday after he defended the practice of barring access to local swimming pools to non-residents, which some claim is used to prevent Arabs from using facilities in Jewish communities. The former Labor member turned Likudnik said he “didn’t want to see them in our pools”, rejecting suggestions the desire for separation was rooted in racism. Speaking to Kol Rega on Thursday, Dotan insisted he bears no malice towards Israel’s Arab population, but recognizes there are different cultural norms. BOTH CONVENTIONS LEAVE PALESTINE OFF THEIR AGENDAS ~~ NOW WHAT? The Democrats did not do much better. CNN reported on July 10 that “Hillary Clinton supporters rejected an effort Saturday to add an amendment to the Democratic platform which would call for ‘an end to occupations and illegal settlements’ in Palestinian territories.” The rejection of that amendment dealt a blow to any hope that the platform would reflect and address the reality on the ground, a reality of occupation approaching its 50-year anniversary. Both Republicans and Democrats Went Backward on Israeli-Palestinian Conflict. Now What? For Americans, Israelis and Palestinians who still seek a two-state resolution to the long and exhaustive conflict between Israel and the Palestinians, the platforms of the major American political parties are profoundly disappointing. Neither platform addresses the issue seriously. The failure to do so serves no one’s interests, especially not those of the United States. The disservice done to both Israel and the Palestinians is more than unfortunate; it’s laying the foundation for yet another collapse on the ground. Only President Obama can help us now — and only if he acts fast. The Jewish Insider reported on July 12 that “the Republican Party’s Platform Committee on Tuesday unanimously approved proposed language that drops any reference to the party’s longstanding support for the two-state solution in the Israeli-Palestinian conflict from the 2016 platform.” This, no doubt, reflected anything but forward movement. Not only are these positions out of line with international law and dozens of United Nations resolutions, they are also totally out of sync with U.S. foreign policy and well-established parameters that call the reality on the ground what it is: Israeli military occupation. Given the inability of either party platform to provide a glimpse of what it would take to bring peace to that embattled region, we can only hope that other forces weigh in. In particular, President Obama still has time to set the record straight. Given that the United States recognized Israel 11 minutes after it declared independence back in 1948, he can finally recognize the second of the two-states, Palestine, before he leaves office. This would place a policy marker that brings the two-state solution into full focus no matter who our next president will be. The United States holds a key to bringing the violence to an end and putting the parties on the road to realizing what the U.S. and virtually every other nation in the world has called for, the implementation of two states, Israel and Palestine. We call on President Obama to act now and recognize the state of Palestine, a process started by Republican President George W. Bush. This single act is urgently needed in order to provide the next U.S. president with a platform that places both Israel and Palestine on equal footing, at least in terms of formal U.S. recognition. The failure of the two American political parties to recognize the reality on the ground in the region and to provide a platform for progress on resolving the Israeli-Palestinian conflict is shameful. It leaves no hope for forward progress and will not serve the interests of the United States, Israel or Palestine. It will exacerbate tensions in the region and thus deprive Israel, the Palestinians and the world of the leadership needed to end the occupation and enable both parties to pursue life, liberty and the pursuit of happiness. We hope that President Obama appreciates the productive role he can play in this regard, a role made all the more critical in light of the disappointing platforms of the major political parties. Comments Off on BOTH CONVENTIONS LEAVE PALESTINE OFF THEIR AGENDAS ~~ NOW WHAT? The gaffe was pointed out by Knesset member Ahmad Tibi from the Joint List who released the following statement, “He [Netanyahu] meant to say the word ‘al-aziziye’ which means ‘my good friends.’ However, the word he said was ‘ al aezaa,’ which means ‘my goats,’” explained Tibi. First read THIS post from yesterday ….. In an adjoining statement, party leader Ayman Odeh added he rejects the idea the video was an olive branch on social inclusion. “I watched the video released by the Prime Minister and I asked myself: could this be the same prime minister who tried with all his might to block the economic development plan for Arab municipalities, who attempted to add more and more conditions so that the plan would be completely impractical?” said Odeh. “Is this the same prime minister who incited against Arab citizens during the elections, and who since then has only intensified his incitement against us? When I saw that he chose to appeal to us in English, I understood the true purpose of his message and to whom it was really directed. So I say to the Prime Minister, in the name of the Arab public: We don’t buy this hypocritical charade,” he continued. The video focused on Netanyahu’s “resolution to invest massive resources in Arab communities,” but the surprise nature of the message, and the fact that a second version was published in English and not in Arabic, has many questioning underlining motivations. Typically these types of recordings posted to YouTube are reserved for holiday well wishes, or to condemn terrorist attacks such as a recent video of the prime minister on the shootings in Orlando. Netanyahu does not have a history of publishing other speeches on social media. Netanyahu began the video by apologizing for previous statements he said about Palestinian citizens of Israel in 2015. “But today I want to go further. Today I am asking Arab citizens in Israel to take part in our society—in droves. Work in droves, study in droves, thrive in droves,” he added. Palestinians represent 20 percent of Israel’s population. In the election where Netanyahu made the offending comments, the the Joint List, a coalition of primarily Palestinian political parties, became Israel’s third largest political party. New Yorkers took to the streets yesterday in front of the Israeli Consulate to demand Freedom for Bilal Kayed and all other (7,000) Palestinians held in illegal administrative detention. Comments Off on GAYS CANNOT BE JEWISH! The Women’s Boat to Gaza will carry prominent women, including Nobel Peace Prize winner Mairead Maguire, award-winning U.S. playwright Naomi Wallace, New Zealand parliamentarian Marama Davidson and Norwegian author and former sports star Gerd von der Lippe. The vessel will visit ports in the Western Mediterranean before reaching the shores of Gaza around October 1. The dream of sending a women’s boat to break the illegal Israeli blockade of Gaza has moved one step closer to reality–but it’s a big step. The Women’s Boat to Gaza, a project of the Freedom Flotilla Coalition, has acquired its first boat. The Amal-Hope is scheduled to set sail with 15 women, from Barcelona, Spain, on Sept. 14. In Barcelona, members of the Palestinian solidarity community will send off the Amal-Hope on its journey around the Mediterranean before heading for Gaza. In 1998, Barcelona was ‘twinned’ with Gaza, with the goal of fostering international support. In 2005, a park called the Barcelona Peace Park was inaugurated in Gaza. The park was destroyed by the Israeli military in the 2009 Israeli attack on Gaza. The park was rebuilt in 2010. As her name suggests, Amal-Hope will send a message of hope–and an international demand that the Peace Park and the whole of Gaza must never be bombed again. Gaza has been under Israeli blockade for the past decade, during which Israel has also launched countless attacks against the besieged population, turning their life into a nightmare and a continuous struggle. Through Freedom Flotillas and other maritime missions, we have brought international attention to their suffering and their resistance. The Women’s Boat to Gaza seeks not only to challenge the Israeli blockade, but to also show solidarity and bring a message of hope to the Palestinian people. With the support of women, men, non-governmental organizations, civil society groups and women’s collectives and events around the world, we will make this happen. in all our coalition languages on back. Men’s and women’s styles and sizes, available now, $25 plus $5 postage. Contact Kit Kittredge, marnykit@gmail.com to order. Ask about discounts for bulk orders to sell at fundraising events. Our U.S. national goal is $30,000. Please help by holding a fundraiser in your community. 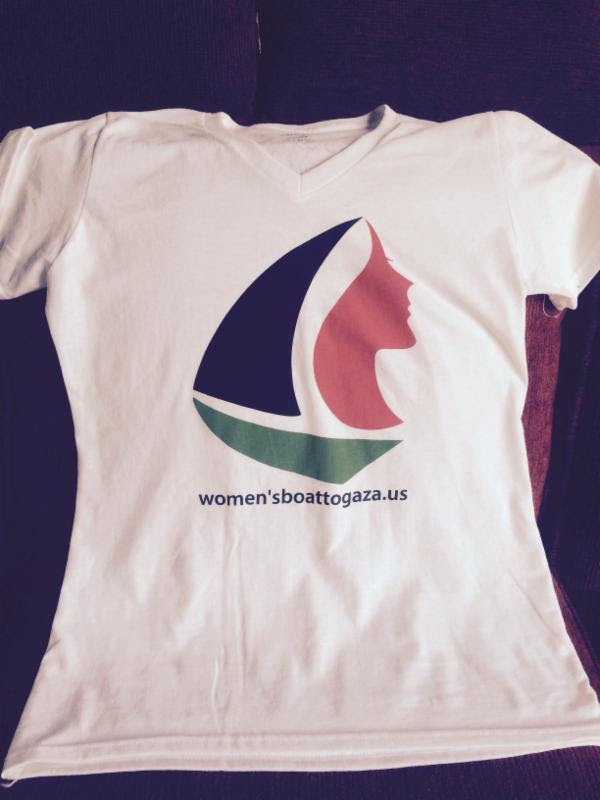 We can send fliers and a powerpoint presentation on Women’s Boat to Gaza for the program. We ask for your continued support and donations to the Women’s Boat to Gaza. Al-Shabaka Policy Advisor Sam Bahour does business consulting as Applied Information Management (AIM), specializing in business development with a niche focus on the information technology sector and start-ups. He is also the Chairman of Americans for a Vibrant Palestinian Economy. He helped establish PALTEL and the PLAZA Shopping Center. Until recently, he served on the board of trustees of Birzeit University and was the University’s treasurer. He is also a Director at the Arab Islamic Bank and the community foundation Dalia Association. Bahour is co-editor of HOMELAND: Oral History of Palestine and Palestinians (Olive Branch Press). He writes frequently on Palestinian affairs and his work is posted at www.epalestine.com. Al-Shabaka Policy Member Zaha Hassan is a human rights lawyer and former coordinator and senior legal advisor to the Palestinian negotiating team during Palestine’s bid for UN membership from 2010-2012. She is ME Fellow at the New America Foundation as well as Director of the Palestinian Business Committee for Peace and Reform. She received her J.D. from the University of California at Berkeley, an LLM in Transnational & International Law from Willamette University, and a B.A. in political science and Near East languages and civilizations from the University of Washington in Seattle. Al-Shabaka Policy Member Fadi Quran is a Senior Campaigner at Avaaz and a Popular Struggle community organizer. He previously served as UN Advocacy Officer with Al-Haq’s legal research and advocacy unit. Apart from his work in advocacy and international law, Fadi is also an entrepreneur in the alternative energy field, where he has founded two companies bringing wind and solar energy to Palestine and other countries in the region. 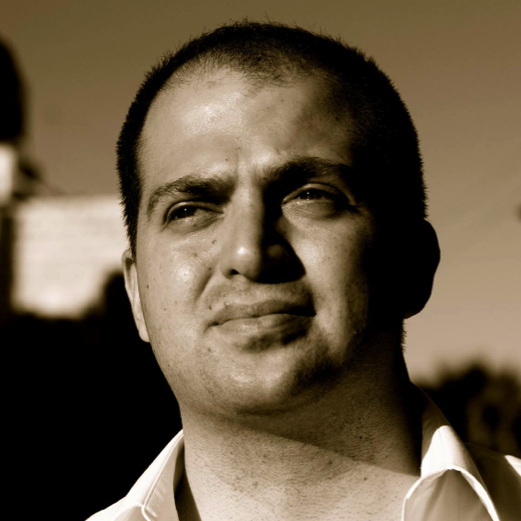 Fadi holds degrees in Physics and International Relations from Stanford University, and is finishing an MA in Human Rights and Democracy at Birzeit University, where his research has focused on constitutional law, collective actions, social contract theory and revolutions. 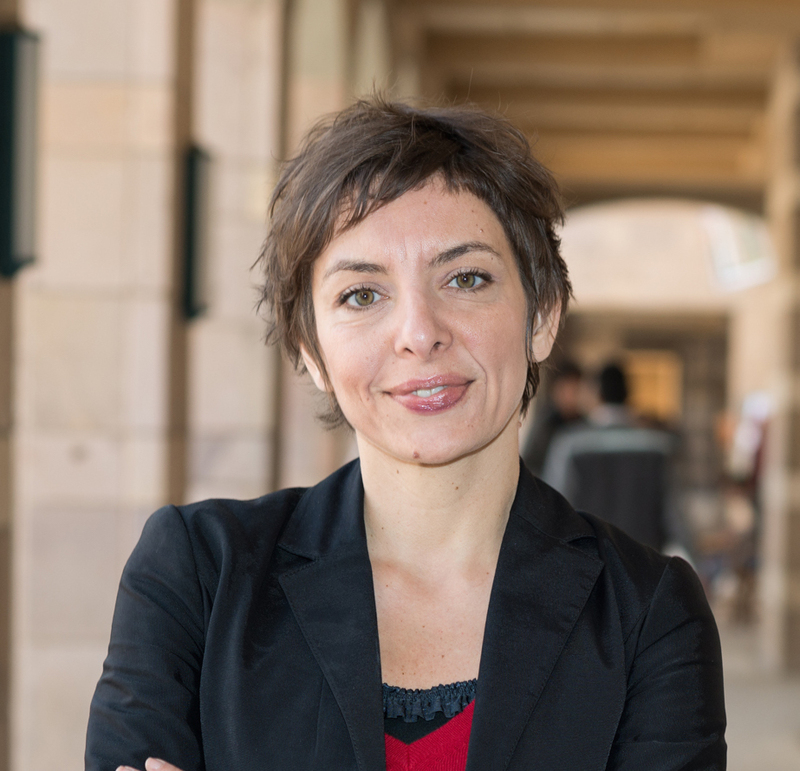 Al-Shabaka Policy Member Sherene Seikaly is Assistant Professor of History at the University of California, Santa Barbara. 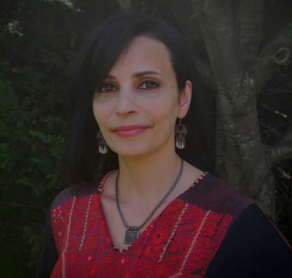 She is the editor of the Arab Studies Journal, co-founder and co-editor of Jadaliyya e-zine, and a member of the Journal of Palestine Studies Editorial Committee. Seikaly’s Men of Capital: Scarcity and Economy in Mandate Palestine (Stanford University Press, 2016) explores how Palestinian capitalists and British colonial officials used economy to shape territory, nationalism, the home, and the body. She has published in academic journals such as International Journal of Middle East Studies and Journal of Middle East Women’s Studies as well as in online venues including Jadaliyya, Mada Masr, and 7iber. 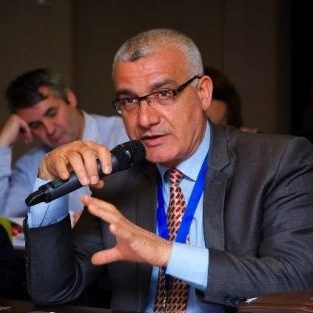 Al-Shabaka Policy Member Tareq G. Baconi is a visiting scholar at Columbia University’s Middle East Institute. His forthcoming book “Hamas: The Politics of Resistance, Entrenchment in Gaza” is being published by Stanford University Press. Tareq holds a PhD in International Relations from Kings College London, which he completed alongside a career as an energy consultant. He also holds degrees from the University of Cambridge (International Relations) and Imperial College London (Chemical Engineering). 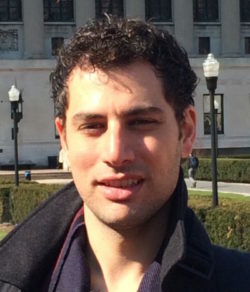 Tareq is an adjunct visiting fellow at the US Middle East Project. His writings have appeared in Foreign Affairs, Sada: Carnegie Endowment for International Peace, The Guardian, The Huffington Post, The Daily Star, Al Ghad and Open Democracy.